I did receive my shirts today and they are awesome! Thank you so much for making sure that I got them on time. 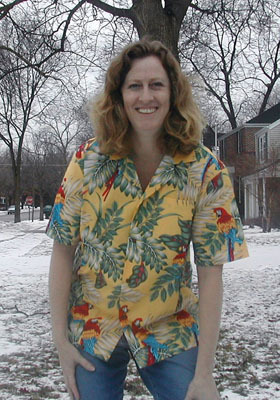 We're going to a luau party Friday nite- the weather here in Chicago is in the teens and has been snowing for days. It was great to see the shirts on a day like this- I can't wait for warm weather again. Your company did a great job and delivered excellent customer service. Good Luck to you. I'll tell the party goers where they can get a cool shirt like ours.